Octavio Constantino Castruita, 71, passed away, Jan. 19, 2019. He was born March 11, 1947 to Antonio and Clara Castruita who preceded him in death, along with wife, Carmen Lara Flores Castruita and brother, Thomas. 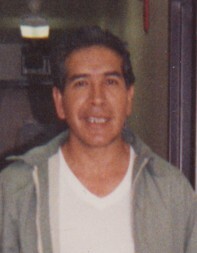 Octavio was a well known mechanic in Bessemer, he loved to dance, sing, play soccer and attend church festivals. He was an exceptional landscaper, an amazing artist and a skilled carpenter. Octavio leaves behind to cherish his memory, children, Angelica (Paul) Holway, Susan (Neal Martinez), Tomas, Isabel and Dolores Castruita; 6 grandchildren, 3 great grandchildren; 6 siblings and a host of other family and friends that will dearly miss him. Memorial Service, 11 a.m Tuesday January 29, 2019 Angelus Chapel.